Susie Harris: A Giveaway and Etsy is OPEN! Yall were so sweet and asked about them but I just couldnt find the time to list them here and at home. Now that the Christmas rush is over...ThankyouLord! I have listed a few things that were some of my best sellers. Isnt this sign a hoot! I have the black one in my laundry room. I hate to fib to you nice people. It doesnt work. I still have to search and rescue the dirty clothes about my house. Your very own. This is open to all of you faithful lurkers too, smile. So why are you still here?.... Go...shop...tell your friends...and comment to win. Cool...I am first to post! I love your stuff Susie so you know I will be glad to tell everyone over at my place...give me till tommorrow...one those nights I can't sleep and just lurkering around...will be back later to post on my blog. Also will be back to purchase some goodies after the first...got to get over that Christmas spending first. Put my name in! I think those signs are just too cute! You're very talented. I would LOVE one of your latest creations. If I don't win, I'll just have to buy one! You are so talented! I will be ordering the laundry room sign. Take care. Congrats on finally getting the listed! They are gorgeous signs. I am keeping my fingers crossed!! I saw them yesterday in your shop and was SOO excited! Thanks! Me me me! You know I want one! Such a great prize - I just adore all of your signs. Throw my name into the drawing...your signs are wonderful. Long time lurker, but I love those signs! You are so talented! Have a happy New Year! Happy New Year my friend...You know if I don't win this one, I gotta have one of these signs bcause one of my new year projects is redoing the LR...YIKES!!! Oh my gosh, I want one of everything! You are incredibly talented! You are so extremely talented! I am sure that 2009 will be extremely happy and prosperous for you. I love all the signs, but my fav is the family name & date. What a nice wedding gift that would make! Please enter me to win, and thanks! I love them all and your great blog. I definitely will tell my friends and check your etsy. Thanks!! Put my name in!!! I love all of the signs! I have to have a Initial and Name Sign! Thanks so much for the giveaway. Ever since I saw the beautiful signs you made for your children's teachers, I wondered why I couldn't have your children in class. I guess I can just buy my own! You know I would LOVE to be entered (and win...hehe). I'll be back when I get home to purchase something from your shop! 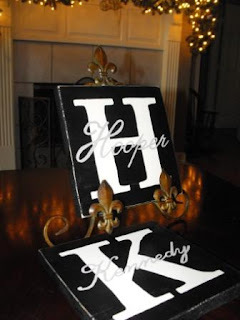 I just LOVE these signs and initials...TOO CUTE! Love your ideas, quotes and quality of your work. Awesome! The teachers of your babies were very lucky people and I'm sure felt appreciated! Oh, and count me in your drawing! I LOVE all of them, but my favorite is the one with the initial and the family name. I have been waiting on you to put some in your shop. By the way, I just ordered 2 and I think they are going to the wrong address. I have tried to find an email address for you, but am missing it somehow. How can I get you my correct address?? So cute! Count me in! So happy you are listing your adorable pieces on etsy! I am pretty new to blogging and giveaways seem so fun! I added your button to my site because you have such a great place. You KNOW I love those signs! Very cute. However, my pocketbook is a little empty after Christmas and so soon before my big trip. I may have to put off ordering for a while. Good luck in your etsy shop! Love your signs, Susie & I'd love to win! I was just looking at these last night. Love the family initial signs! I'll spread the word on my blog :) Too cute!! i am sooo excited for you...and excited for me too! i love the "drop your pants here" sign!!! I love all your signs, my fav would have to be the established ones, so cute! Oh my goodness I would love to win!! I so need the one for my laundry room. Good luck everyone. I remember when you posted about them and I thought that they were simply fantastic! I still can't believe that you hand paint them. Please enter me for the giveaway! I'm heading to your etsy site now! Happy New Year. What a creative outlet for your talent! I love the signs, especially the initial/name ones. Going to the shop RIGHT NOW!!! I love your signs....especially because they are hand painted instead of vinyl lettering. Great work! so glad you had time to list these...been thinking about them since I first saw them before the holidays! Happy New Year!!!! Pick me! Pick ME!!! Your friend down the road! I will come pick it up!! So cute! Susie you make the cutest things!! Nice work. I like the signs with a family name and "established" date. Good luck with your store. Love the signs.....I have my fingers crossed here.....thanks! Your signs are so cute - and imaginative too! I don't know how you do it - I wouldn't be able to paint even one! I've never been good at staying in the lines! I laughed at the laundry one - but I have to admit, our boy drops his pants just about anywhere and then runs flashing through the house! Too funny! OOOOHH!! I love the laundry sign too...that is too cute! I would be proud to have any of them in my home. I'll link up to your post today! I would love to win, and I plan on doing a post later about YOU! I heart all of your designs! I have a couple of your tassels already! I would love to win this one. CUTE!! I'm going to go check out your etsy for a wedding gift!! Love your stuff! I'd love to win one of your beautiful items! Congrats on opening your etsy store! I know it will be a huge success. I love, love, love the family name and date sign...my personal favorite. Monograms of ANY kind just make me all giddy. If I don't win, I'll just have to come on over to your cute new shop and buy me one!!! Yikes! I SO want this! I've been admiring them since I first saw them as teacher gifts! I hope I win! Somehow you manage to make them cute and beautiful and funny and charming all at the same time. How do you do it?! I love the family name signs...! YOU have a beautiful talent. Get to paintin' girl so you can send your ol white appliances to this poor little family. LOL! Hi Susie. I hope you had a wonderful Christmas. I love your signs, they are the cutest. Thanks for having such a fun giveaway. Love your signs Susie. You are so creative. Add my name to the pot please. Add me in! I love them. Hope you sell enough for more stainless. Oh, I adore them all. You are so talented! add me!! Add me!!!! YAY!!! These are so pretty. I would LOVE one! You are so talented! Your signs are soooooo cute!!! Just moseyed over from the lettered cottage. Enjoyed your blog - you are a hoot! Actually, a very talented hoot :) Love your stuff - on my way to Etsy now. Happy New Year! I love all your signs - absolutely love them. sign me up! I would love to win one of those signs! Can't wait to check out your store! Yay Susie!! So happy for you and your etsy. I am gonna look at it in a second, but I'm SURE it's all wonderful! I'm sure you will sell a lot. And I would love to win one of your signs! Susie, what a wonderful way to end the year. I would love to win one and just may have to have one I saw for my bathroom. Love you signs.....I'm a sign and word ADDICT so count me in! I'm glad you've got an Etsy shop up and running! Good for you! 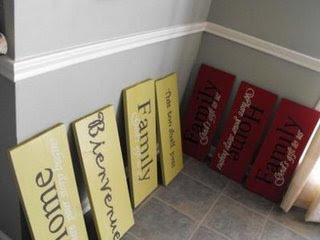 I can't believe you hand paint all your signs....I've made a couple for myself over the years, but it's not something I'd have the patience to make over and over and over again. Very nice! You're very creative! I'm off to shop. I hope I win!!! You're so talented! Oh, how I'd love to win!! I love the LAUNDRY sign, too. Everyone needs a laugh while they're doing laundry. Keeping my fingers crossed that you'll draw my name! I absolutely adore your signs - can't wait to check out your etsy site. You are so talented!!! Your signs are GREAT! I would LOVE to win one of them! Best of luck with your etsy shop and thank you so much for this chance to win!!!! Please add my name to the drawing. I'd love to win one of those signs! Enter me. I love the signs, especially the laundry one. I'll be back after the first and before my Hubby gets the Amex bill. Please put my name in with the other 88 bloggers but I know that 2009 will be a good year for me so it should start by me getting this WONDERFUL sign, and that will be my sign that it will be a good year, right? Can I just say I love them all!!! I dream about the one with the name and then the est in on it! I love the Laundry one!!! 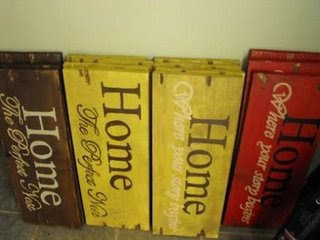 I love the Home one!!! So glad I found your blog. Love the signs!! The names and date signs are just beautiful...you have inspired me so much, Susie! I gave not only my MIL a tassel, but also my sister, Step-mom, best friend, another friend, and her MIL one. They turned out beautiful! love your stuff! fingers crossed. Wow you have some great stuff! Thanks! I ordered one last night, but I am entering anyway! I would love to order one for my Mother-in-law! Love them and can't wait to get mine! I want one too! Thanks for a great giveaway! Great Signs, I'm happy for you that they are such a success!! These were made for my dining room! Amazing talent - I've been drooling over those signs for weeks. Please count me in for the giveaway. These signs are just beautiful. Thanks for the chance to win! You are so talented! I hope I win!! what wonderful signs! I would love to be the lucky one! Great signs,Susie. Love them. Wishing you happiness, health and prosperity in the new year. Love your blog and I'm here lurking around alot...thanks for sharing all of your creative goodness! You are very talented! 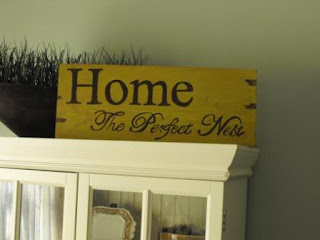 I would love to have a new sign for my home! I am going to check your Etsy now too! Too cute - I would LOVE to win! I would love to win one of your signs or possibly order one in the near future -- after things settle down. You are a great inspiration. Those are great! I would love to win one. Yea! I would give it a happy home! I am going to etsy next! See you tomorrow! You are so talented. One of the first blogs I click on everyday. This is my first time on your site...and I love it! You are sooo talented!! I love your beautiful signs!! I have been admiring these signs for weeks now! I'd love to be the proud owner of one! So glad your etsy is up and wow 121 posts...will I ever have that many. Would love to win and I will be by to shop. Your blog is adorable! Love your crafts. When you posted that you were making signs for your kiddos teachers, I got jealous...the gifts I get from my students don't even come close to what you made them! I would LOVE one of your cute signs! One of my most favorite things is a warm bubble bath. Wow you must have a very steady hand. Let me guess as a kid you wouldn't color outside the lines? I'm just envious of your work. I would attempt it myself but it would be much easier to just to have you do it. You already do it so well! I am a huge Etsy fan. I am adding you to my favorites! I was looking around when the twins were born for name plaques and never saw anything as impressive as yours. Your's look like an artist's work. Very beautiful. wow!! count me in. thank you! Those are beautiful! "Sign" me up! Hee-hee! Absolutely adorable! I love them all! Congrats on your etsy store start! Love signs! I've got you bookmarked so I can come back! What a beautiful store you have! I know my wife would love for me to win one of these for her! Here's to a joyful Christmas and a Happy New Year! Handmade Housewife sent me here and I'm so glad she did. You're so talented and I'd love to be the proud owner of one of your signs. Got you favorited on etsy! I love your blog. You and your sister are so talented. I have admired your signs and am glad you now have them listed. Throw my name in the hat as well. If I don't win I will just have to visit your Etsy shop and purchase one! I love Etsy and i will check your shop often!! I am so happy for you that you are finally taking the plunge. I believe you will be very successful. You are SO talented! I LOVE your laundry room sign. I love your work! I'd love to be entered to win such a great prize! Thanks! I have been admiring these for some time now! I just love them! I can't believe you hand paint each of those signs. Wow! Love your work! I've always loved your signs. I have no idea how you always get the letters so perfect. 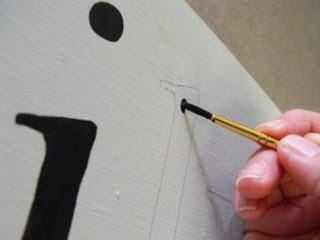 When I paint words, the letters look all scratched and scribbled as if I just had a bottle of rum before painting. LOL!! Hi, I just blogged your giveaway and grand opening at Esty.com. I have two favorites from your shop: the Family Plaque and the Inital Plaque. I can't decided which that I like best. I wish you much success with your new store. Happy New Year. Adorable signs! I would love to be entered in your give away. I'm going to Etsy now to take a look! Your "Signs of the Times" are my cup of tea! Very relevant, cute, and marvelous! Thanks for the giveaway and Happy New Signs too! Oh my, now this is a giveaway I'd beg, borrow and steal to win. Thanks for the chance. I'll be checking out etsy for sure! The initial & name sign is my fave, but they're all gorgeous! I love them all and love that they are on wood. Thanks for the giveaway! 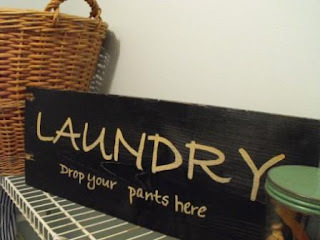 I just happened upon your blog and I love your signs, especially the black laundry room one. Please count me in. I'd love to win one! These are just beautiful, you do amazing work. I love word boards! I I don't win, I'm buying one! I love the laundry one, even though I don't really have a laundry "room"! I love your blog. thanks for your inspirations! Those are gorgeous! I would love to win one. I really like the monogrammed ones. I'm late to the party. Love your signs and would love to win. Would you be interested in a custom order? "I love the signs....very cute! Would love a chance to win! 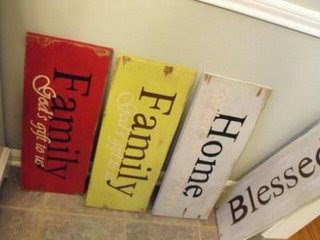 I would love to win one of your fantastic signs! And I love to read your blog...you are very creative! 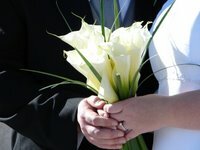 i just found your blog and i will be back! i love signs like this! Oh, I would love one for my home. I hope I win, I hope I win, I hope I win (channeling Judy Garland in Wizard of Oz)... Happy New Year!!! I love the laundry sign. Love your signs - you are very talented. I wish you much success in your Etsy shop. I just love that you handpaint them! You are so talented. And your Giveaway has called me out of lurkdome. I just love your signs, they are precious!!! 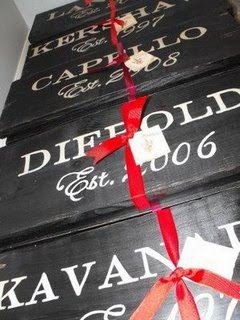 These really are super gifts, and I would love to have one of my own! I would proudly display one of these awesome signs!! Add me to the list! You're very talented! Awesome signs! Oh, and... Happy New Year to you and yours! I will check out your Etsy and pass your blog name on. OK Long time lurker here. I too am in La. I love all the things you make and wish i was as crafty as you. I'm off to check out your shop. And I hope I win! THese are precious!! You are quite talented! I would love to win one of those laundry signs!! Happy New Year! I adore hanging handmade signs in our home. You do lovely work. Your name sign and the initial sign with name are two of my favorites! Please enter me in your delightful drawing. I would be honored to win one of your signs! love all the signs, thank you for the opportunity to win one!!! Happy New Year! I LOVE everything you do! I would love to win. Good luck with the kitchen! I can't wait to see it all come in! They are lovely! Happy Happy New Year! 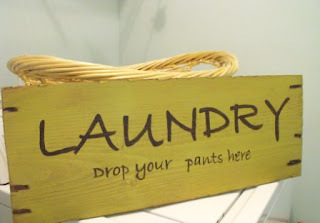 Love the laundry room sign! You've been working hard! Now off to your Etsy shop! Have a great day! You ARE a little worker bee aren't you?? Great work! These are so cute and I can't believe you hand paint them all. What a talent. Thanks for the giveaway! I love all your signs... you do beautiful work! Happy New Year! I hope this year is good to you and your family! Wow - I would love to win. I visit your blog often - you have the most creative ideas! Pick me these are so cute!! Ohhh!! I love them! I'm on my way to your etsy shop now! You are so talented.I came over from another blog(handmade Housewife),so I am new.But I will be back(I know,thanks for the warning,lol j/k). Absolutely beautiful work! I would be honored to win this!